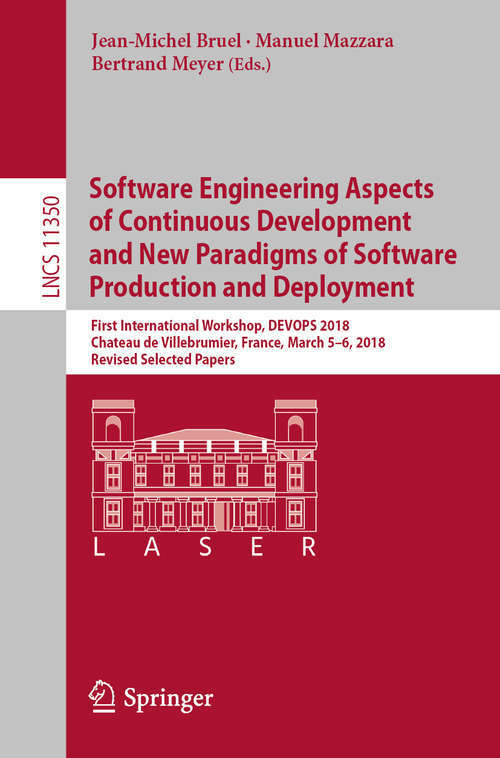 This book constitutes revised selected papers from the First International Workshop on Software Engineering Aspects of Continuous Development and New Paradigms of Software Production and Deployment, DEVOPS 2018, hled at the hateau de Villebrumier, France, in March 2018. The 17 papers presented in this volume were carefully reviewed and selected from 23 submissions. They cover a wide range of problems arising from Devops and related approaches, current tools, rapid development-deployment processes, effects on team performance, analytics, trustworthiness, microservices and related topics.